I am a Protestant. I have been trying to trace the church from the time of Jesus to the current day. I have a question. In the first half a century I see great debates in the defense and development of true doctrine. During this time central truths were developed such as the doctrine of the Trinity and the Incarnation. At least 24 major heresies were withstood, and the New Testament was canonized. If any of this would have failed to happen, Christianity, as we know it today, would not look the same. Many of the doctrines of the early church, such as tradition, liturgy, icons and so on were all well established by the third and fourth centuries. They have been rejected by the Protestant faith as false teachings. But these doctrines were developed close to the source where the water is usually the purest. They were developed by men that gave their lives for what they believed and taught. If they were heretical, would the streets have not run with blood, yet it seems there was unity on most doctrines? If the apostles had deliberately passed on tradition to the early church in addition to the scriptures, then it would be expected that what was additional would be in accord with the written documentation. What Protestantism rejects is the concept that the apostles could have deliberately passed on traditions which are contrary - in either content or in tenor - to what the gospels and epistles set forth. Or that they would have passed on what was supplementary to the degree that it could ever be considered 'further revelation'. Importantly, this articles refers to 'whatsoever is not read therein nor may be proved thereby . . . is not required of any man, as an article of Faith, nor is it necessary for salvation. What is known, historically, of the history of the Church outside of the apostolic accounts, may be useful in terms of examples to follow, but cannot, in essence, be regarded as essential for salvation nor can be regarded as obligatory. Protestantism holds that one of the very reasons for the Divine Provision of an inspired and infallible documentation - the Greek scripture - is that historical traditions, even if, as the OP question states, those traditions are 'close to the source' are just not reliable enough. The words of Jesus Christ himself, and the words that he gave to his apostles, are those which are documented in Holy Scripture. Protestantism, in its original form, holds that nothing else is to be considered above scripture in fact or in authority. Faith cometh by hearing, and hearing . . . by the word of God. Romans 10:17. In my understanding, Protestantism takes the view that "if not in the [Protestant] Bible, it's human doctrine" (view more formally called sola scriptura). And if human doctrine, it is therefore fallible and should be judged according to their merits and consistency with the rest of the biblical teaching. This is the origin of many Protestant rejections of Catholic and Orthodox doctrines. I praise you for remembering me in everything and for holding to the traditions just as I passed them on to you. So then, brothers and sisters, stand firm and hold fast to the teachings we passed on to you, whether by word of mouth or by letter. The debate is about what exactly does this tradition include and to which extent it is necessary for salvation. It should be remembered here that not even within Protestantism there is a unified voice about what doctrines and practices are valid or not. For instance, an issue as basic as the Eucharist is very contentious (e.g. see here). Not all hold Sunday as the observance day either. And so on. In effect, here the Catholic Church states that actually, the Bible alone is not enough to define all necessary doctrines of faith and practice. Hence its recourse on Tradition for things like the seven sacraments, and so on. Finally, notice also that the canon of the Bible is different among denominations. Thus, for instance, things like the purgatory are justified in Catholicism based, among other things, in 2 Maccabees, which is not part of the Protestant canon. Thus, even without recourse to tradition, mere canon differences give rise to doctrinal differences among denominations. Not the answer you're looking for? 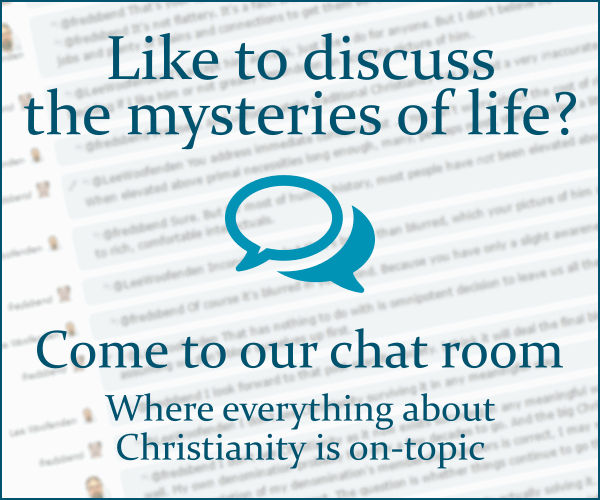 Browse other questions tagged protestantism early-church or ask your own question. How does Protestantism defend the adoption of practices and beliefs not found in the Bible? What is the original language that each of these books were written in? Are there any Protestant beliefs which have their roots in Mormon doctrines? Why didn't Syriac Christianity keep Aramaic as their liturgical language? What is the Protestant belief known as “faith alone”? How did the Born Again teaching be associated with one first believing in Jesus Christ? Who first clearly formulated the penal substitution theory of atonement? Are any fundamental Protestant beliefs historically heretical? What does 'orthodox' mean, in practice?